By buying this product you can collect up to 133 loyalty points. Your cart will total 133 loyalty points that can be converted into a voucher of $2.66. 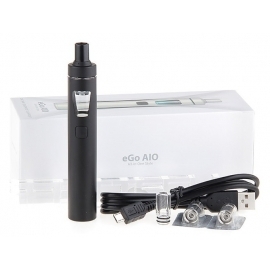 Powered by a 2000mAh battery, the EKEE can fire up to a maximum output of 80 watts. The front of the EKEE is equipped with a big 1.3 inch TFT color screen, allowing you to view your vaping data even while vaping. With the dual circuit protection, 2A max charging current and temperature protection, the EKEE can be charged more efficiently and safely. The EKEE with ProCore Motor kit has five attractive colours, making your vaping interesting and colourful. ➤ 1. The EKEE mod has 2000mAh battery capacity and 80W max output. ➤ 4. The bold airflow structure on the ProCore Motor atomizer can produce huge vapor for you. ➤ 5. The ProCore Motor tank is easy to clean with detachable structure. ➤ 6. The EKEE mod with 510 connector, it can hold tanks up 25mm diameter. ➤ 7. 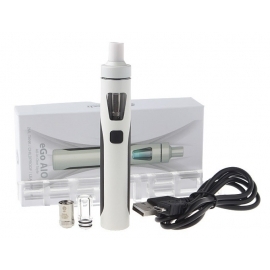 The tank can be extended to 4.5ml capacity with the spare glass tube. ➤ 8. Features 2A quick charging for quick charging. ➤ 9. The firmware is upgradeable.